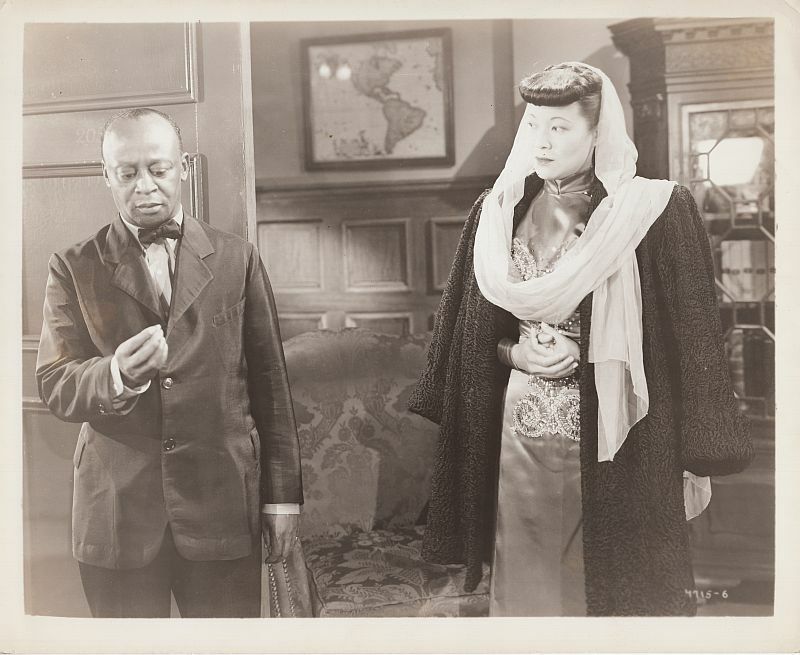 newspaper account of Chinese Princess Mei Ling's shipboard arrival in San Francisco. 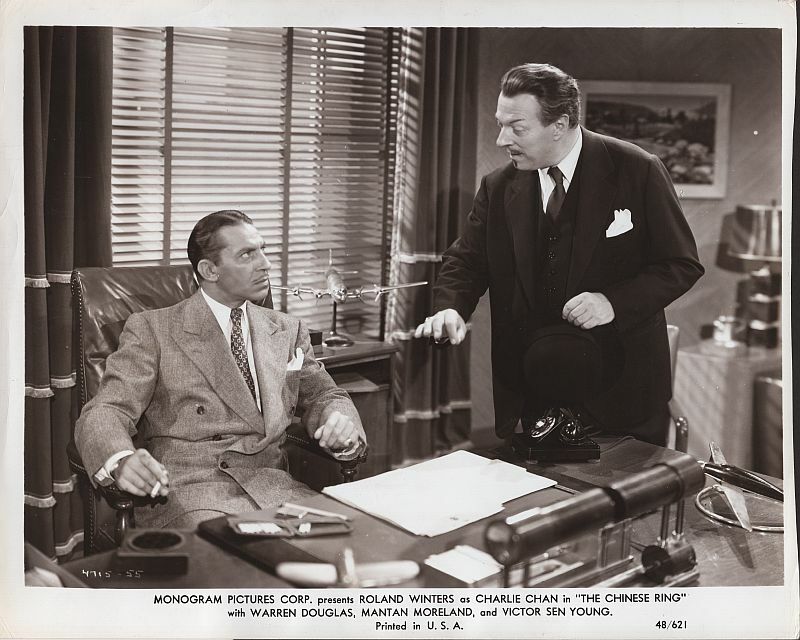 Charlie Chan shows Sgt. Davidson Princess Mei Ling's ring, signifying her royal standing, as son, Jimmy looks on. 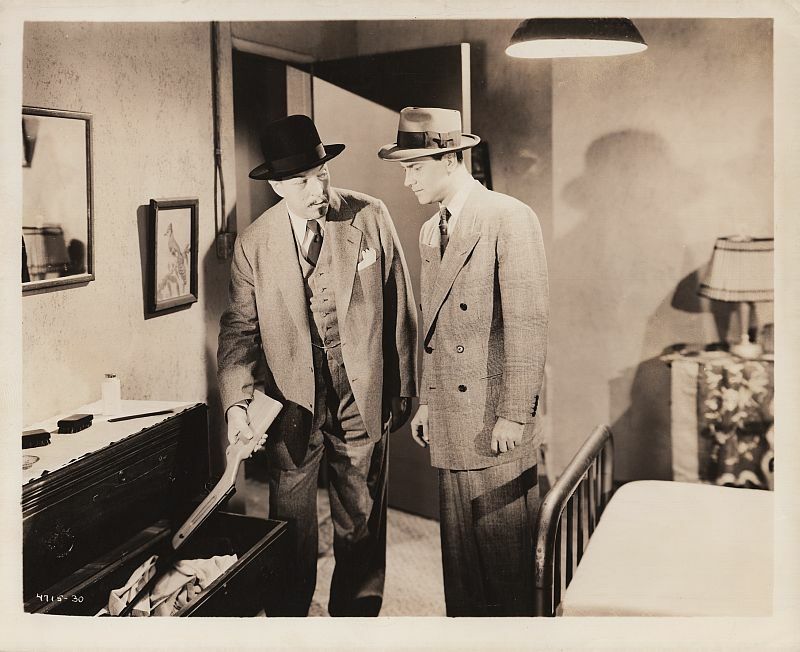 has Birmingham Brown take her ring to the detective prove her identity. 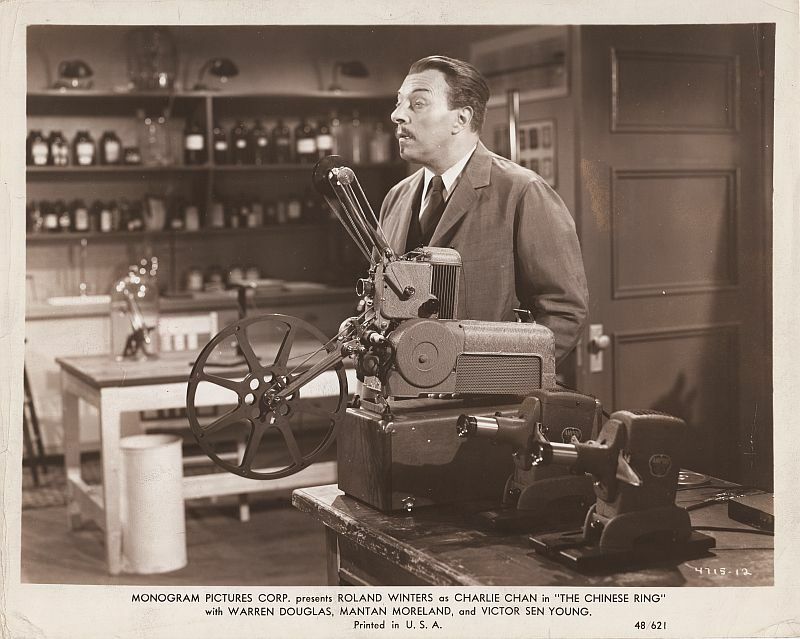 Charlie Chan examines a projected clue in his private home lab. of money from Princess Mei Ling into a special account in his bank. 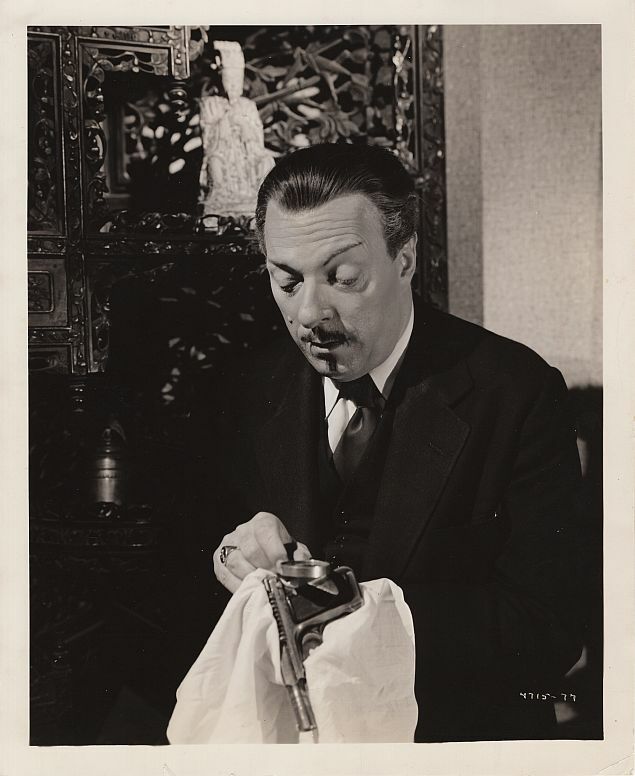 unconscious at the apartment of the late Princess Mei Ling. 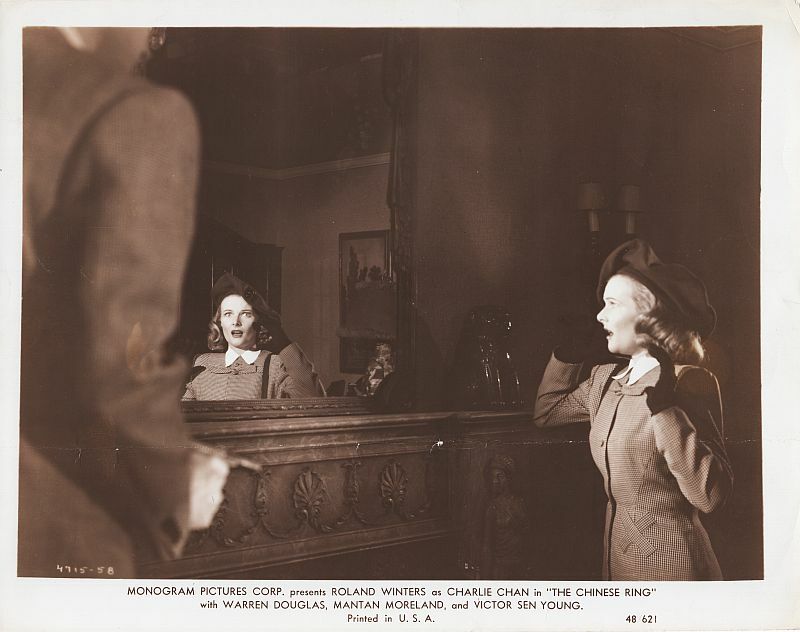 Peggy Cartwright is seen as she attempts to enter the apartment of the late Princess Mei Ling. an air rifle owned by the child who was a friend of the princess which may have been used to kill her. 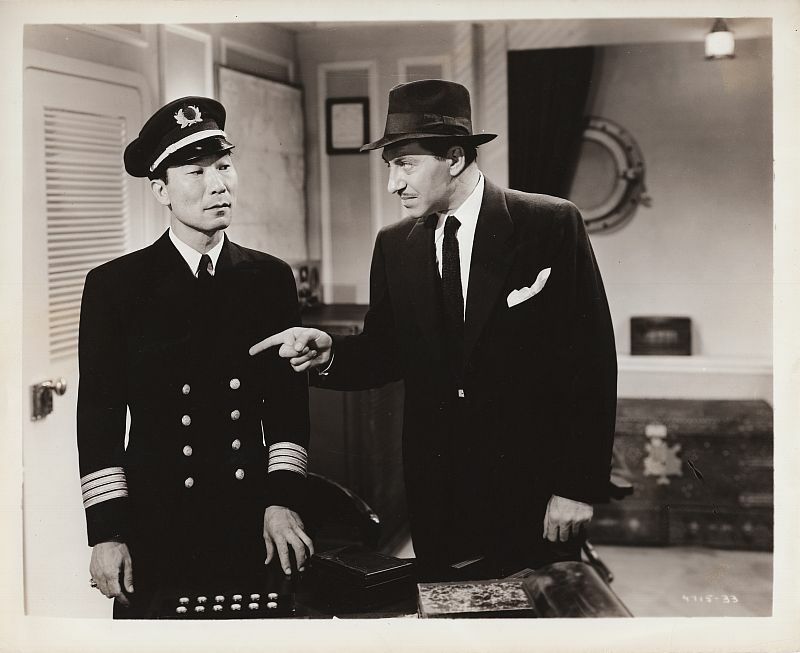 Mei Ling as they meet aboard the Shanghai Maid. 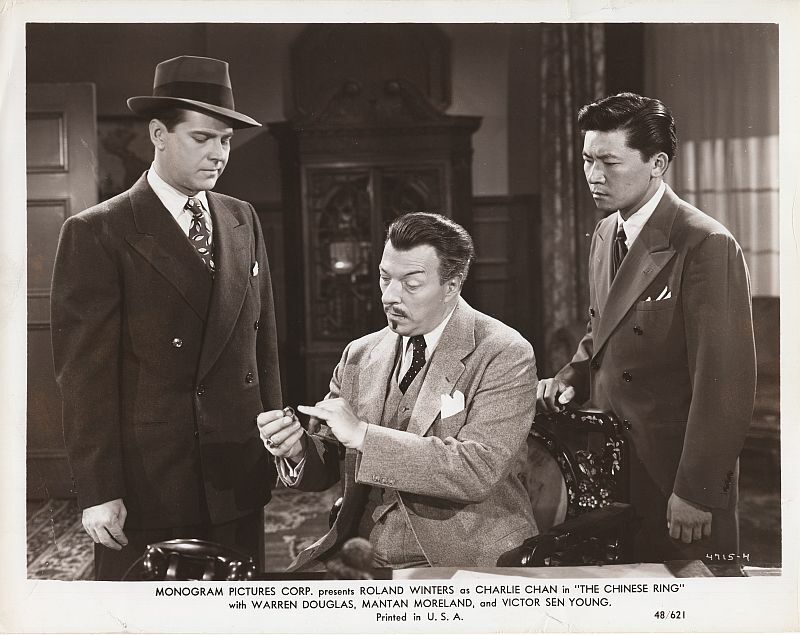 Charlie Chan and Birmingham Brown make a grim discovery in the apartment of the late Princess Mei Ling. 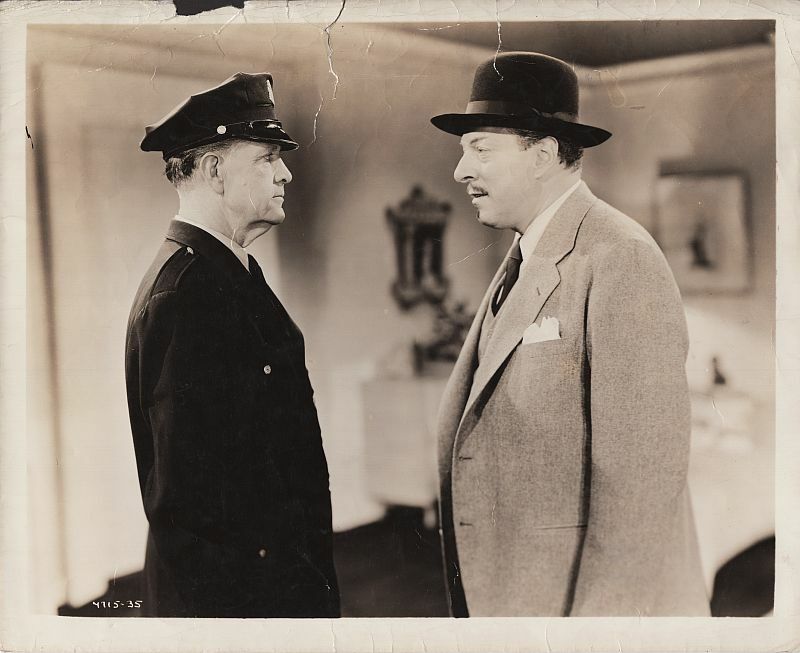 Charlie Chan speaks with an officer on duty at the late Princess Mei Ling's apartment. Sgt. 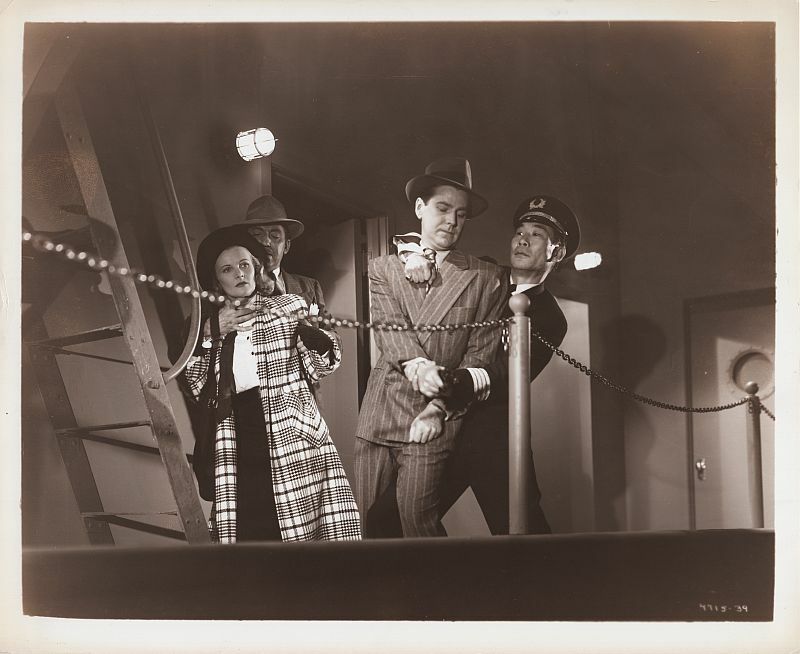 Bill Davidson and reporter Peggy Cartwright struggle with Kelso and Kong. 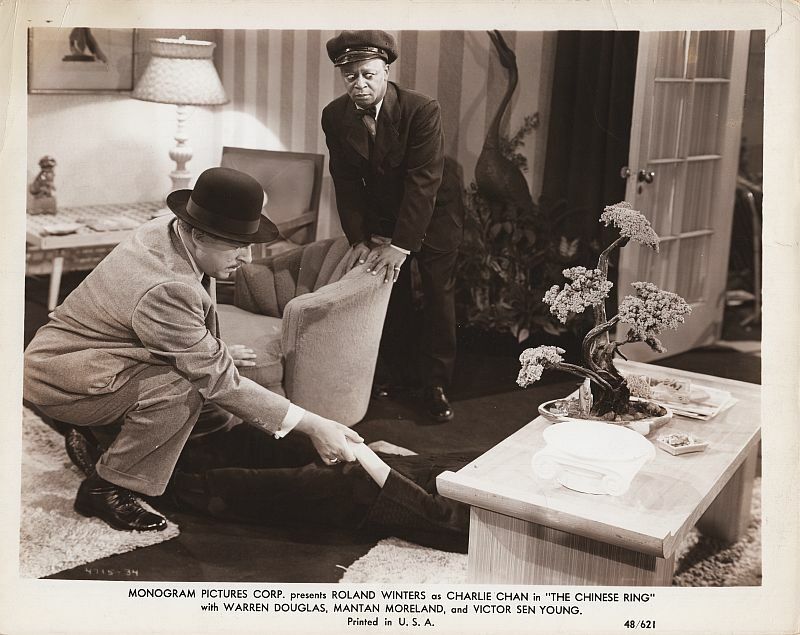 Posing as dockworkers, Jimmy and Birmingham rescue Charlie Chan and Armstrong. 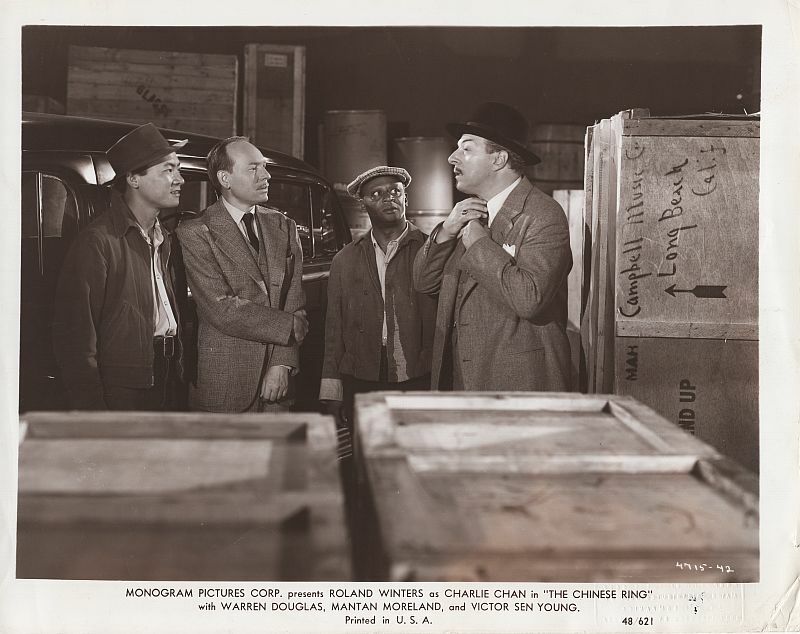 Charlie Chan questions Captain Kelso. 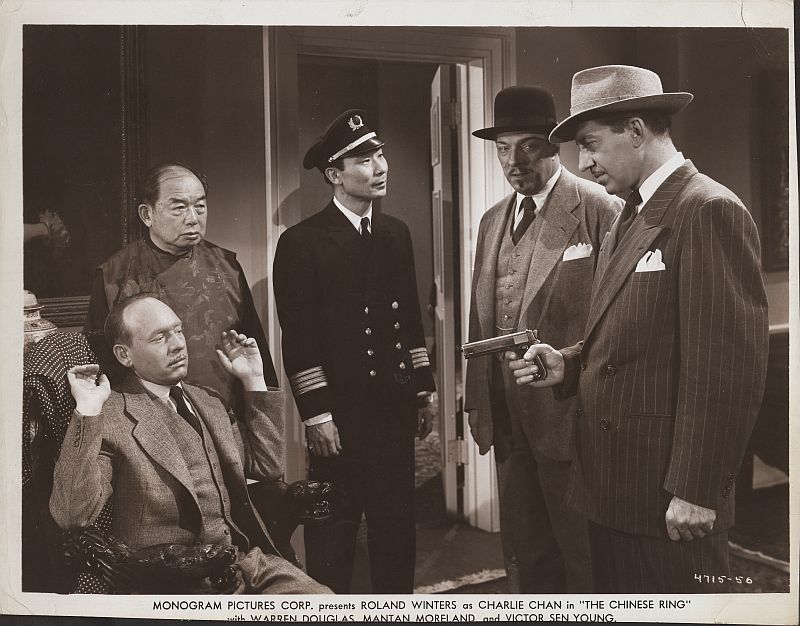 Armstrong is held at gunpoint inside his home by Captain Kelso as he and Charlie Chan are taken captive. 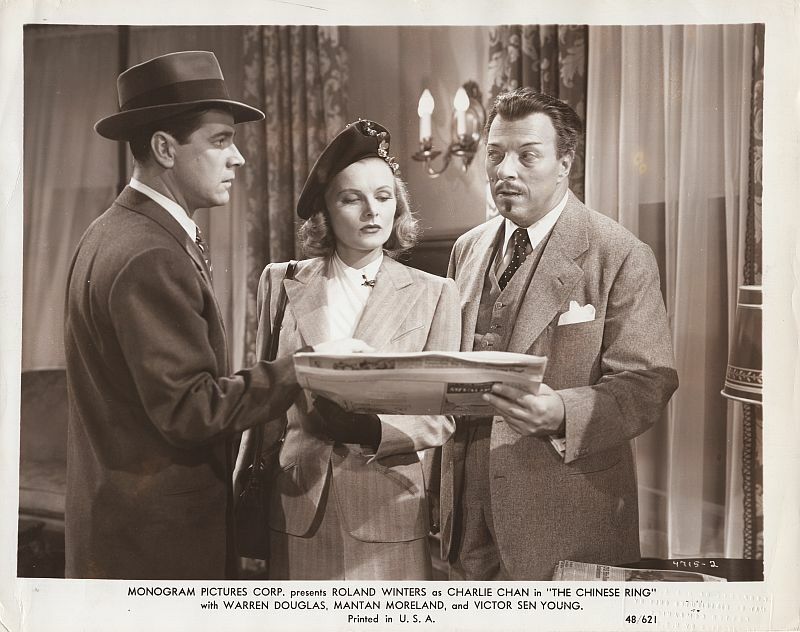 An intruder arrives as Peggy Cartwright searches Princess Mei ling's apartment. 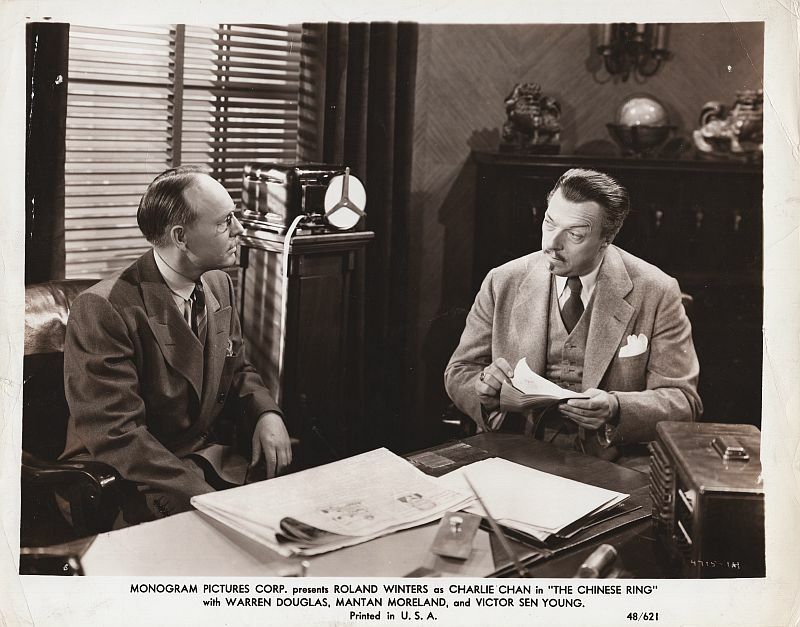 Charlie Chan with Sgt. 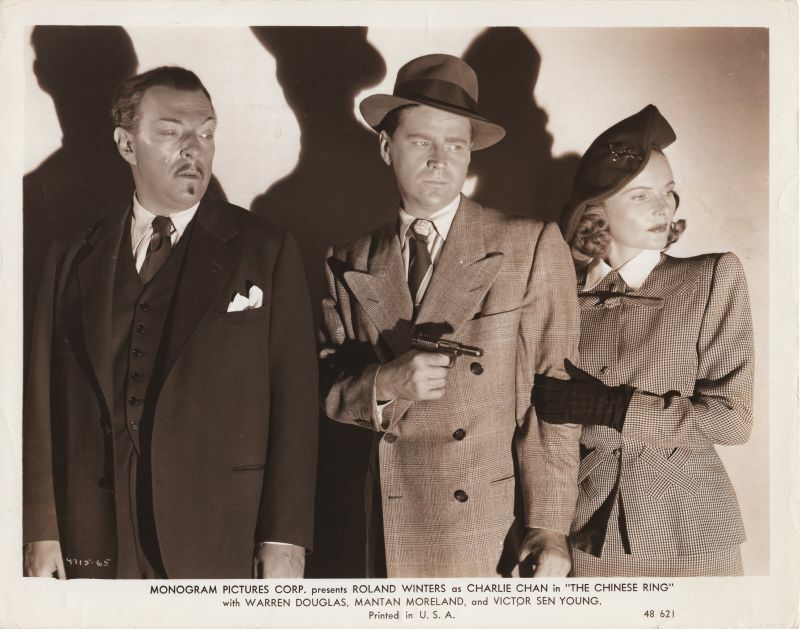 Bill Davidson and Peggy Cartwright. 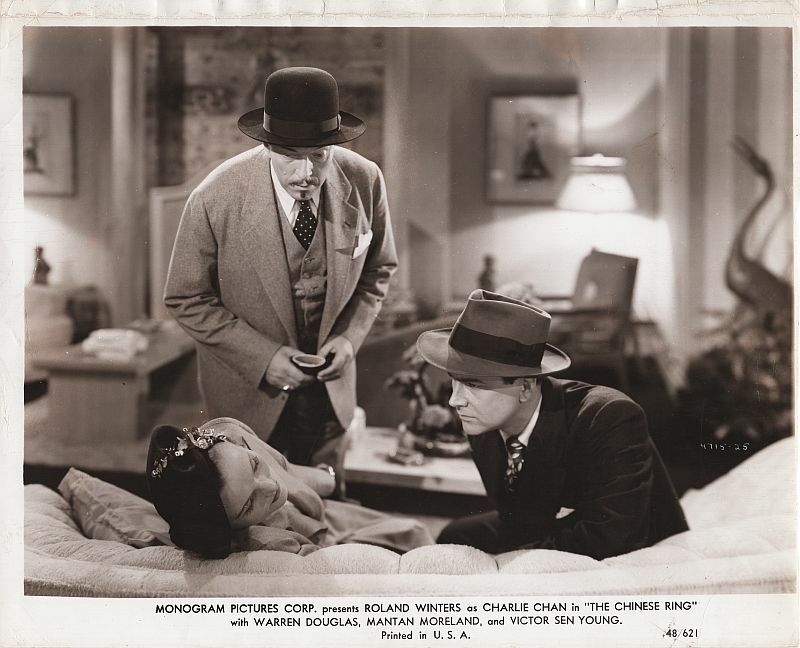 Charlie Chan checks a gun for fingerprints.